Sinha, V., Ghai, D. (2010). Formulation Design and Development of Self-Nanoemulsifying Drug Delivery Systems Containing a Hydrophobic Selective β1-Adrenoreceptor Blocker. International Journal of Nanoscience and Nanotechnology, 6(3), 154-167. V. R. Sinha; D. Ghai. "Formulation Design and Development of Self-Nanoemulsifying Drug Delivery Systems Containing a Hydrophobic Selective β1-Adrenoreceptor Blocker". 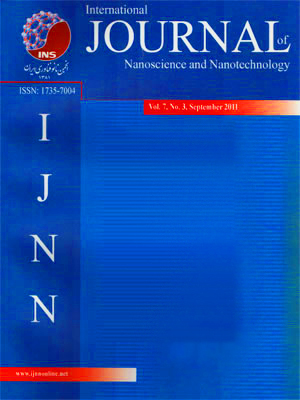 International Journal of Nanoscience and Nanotechnology, 6, 3, 2010, 154-167. Sinha, V., Ghai, D. (2010). 'Formulation Design and Development of Self-Nanoemulsifying Drug Delivery Systems Containing a Hydrophobic Selective β1-Adrenoreceptor Blocker', International Journal of Nanoscience and Nanotechnology, 6(3), pp. 154-167. Sinha, V., Ghai, D. Formulation Design and Development of Self-Nanoemulsifying Drug Delivery Systems Containing a Hydrophobic Selective β1-Adrenoreceptor Blocker. International Journal of Nanoscience and Nanotechnology, 2010; 6(3): 154-167. 1University Institute of Pharmaceutical Sciences, Panjab University, Chandigarh-160014, India. The present work was aimed to design and develop self-nanoemulsifying drug delivery systems (SNEDDS) with the objective to overcome the problems associated with the delivery of talinolol, a hydrophobic and poorly bioavailable drugs having pH dependant solubility. The solubility of talinolol in various oils, surfactants, cosurfactants and aqueous phases were determined to identify and select the best combination with proper dose incorporation. Various surfactants and co-surfactants were screened for their ability to emulsify the selected oil. The area of nanoemulsification formation for the selected systems was identified by constructing the pseudoternary phase diagrams. The resulted nanoemulsions were found to be transparent without any phase separation and precipitation of drug. The influence of drug incorporation and pH of the dilution medium was also assessed on the phase behavior and droplet size of the selected systems. The developed formulations needed less than 45% of surfactant and yielded nanoemulsion of droplet size in the range of 20-150 nm, which was not affected by the pH of the dilution medium. Whereas, the corresponding monophasic region in the respective phase diagram decreased under the influence of drug incorporation and pH of the dilution medium. Furthermore, the droplet sizes measured by transmission electron microscopy analysis were in agreement with the analysis using photon correlation spectroscopy. The release rate of designed SNEDDS formulation was investigated using an in vitro dissolution test showed a complete drug release within 15 minutes irrespective of the pH of dissolution medium as compared with the plain drug, which showed a limited dissolution rate.